The rise of different culinary innovations has got people going crazy. They are now starting to resort to upgrading their regular culinary collections. 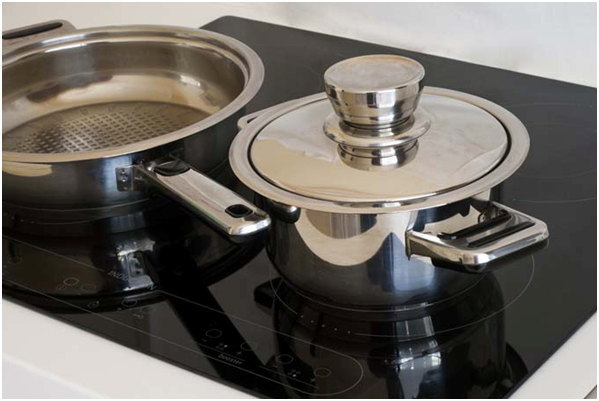 The emergence of induction cooktops made way for manufacturers to come up with excellent induction cookware collections. If you are new to this, you may want to check out the useful information that are to be discussed below. You can also read on reviews comparing pans made for induction cooktops. The first thing to understand is that induction technology uses a magnetic energy that is transferred by an electric current. This magnetic energy will connect to your pan when placed on an induction cooker to turn it into a heat source. What makes a pan good for an induction cooker? Cookware that is made from ferrous metals such as cast iron or stainless steel works best for this type of cooking. It pays to get one that has a flat bottom to make sure that heat is distributed evenly. Uneven bottom surfaces can create a lot of noise through vibrations and may cause glass lids to crack or break at times. It is also good to make sure the handles on your pans are secured properly. There will be tons of brands available for you to choose from in the market. You can buy them in physical or online stores. Securing one is fairly easy, but getting a quality one can be a challenge. A tip for you to know would be to take a magnet of some kind and test it on a pan. A pot that sticks to the magnet will tell you that it is compatible with your induction cooker. Another way to check if the pan is compatible during a visit at a physical store is to have a pan filled with water. Turn the induction stove on and wait for it to boil. One that efficiently boils the water can prove to be effective while one that takes a long time or does not cause it to boil at all cannot be a good fit. What pans should you avoid? There are a lot of pans in the market. Some are compatible and some are so-so. However, you should stay away from metal, copper, glass and ceramic. These may look and feel great but it is not going to work well with your induction cooker perfectly. Not all stainless and steel pots can work with an induction cooker. It is important to consider this because it can pose a risk for danger especially if you have kids around the house. Induction cookware is essential to achieving the results you want. If you are someone who takes on culinary experience seriously, investing on legit and quality induction cookware is a must. There are tons of choices in the market; doing your own share of research can give you an idea on what to get. Reviews and customer feedback can give you an idea of which one to get. Check them out and buy the best one for you today.